There are few city institutions in this country more hated than the Philadelphia Parking Authority. Despite the name, they are the private organization on contract with the city to manage parking in the city. 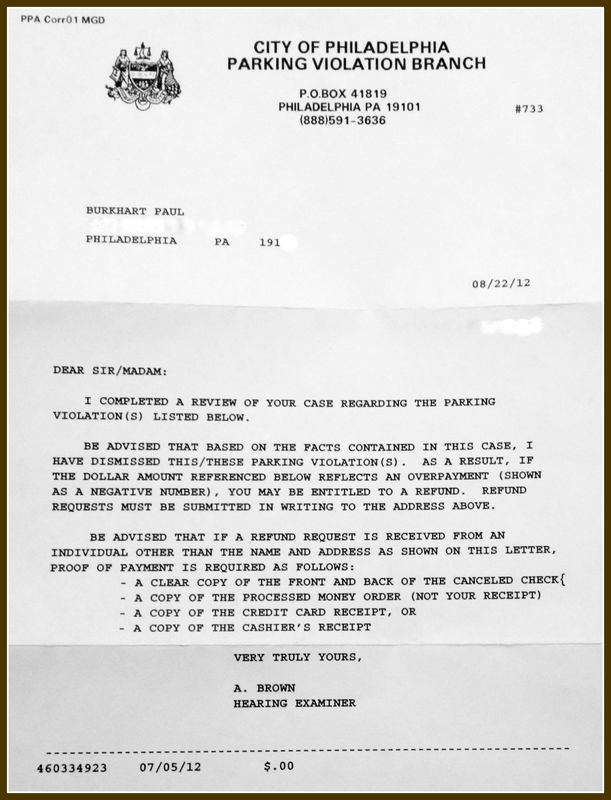 They make the laws, set the rates, set the penalties, enforce them, and have a financial incentive to making you fail at being a responsible parker in Philly. It’s understood that parking tickets will be a regular part of life in Philly. The PPA is the primary subject in A&E’s show Parking Wars, and their relentlessness and lack of empathy is so bad, that it’s had an effect on local tourism. 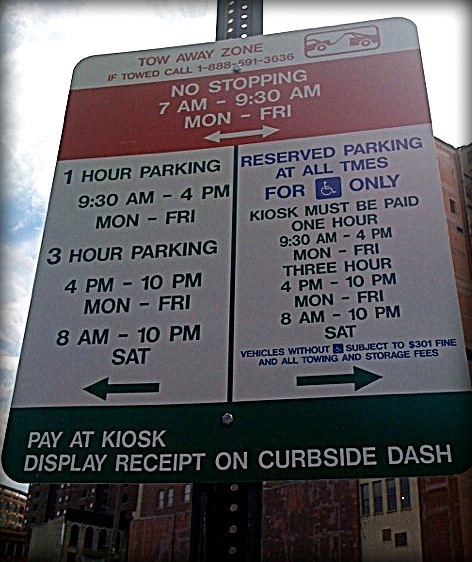 They call themselves the most efficient parking authority in the country, but had to be forced to follow-through on the requirement for them to give their profits to the public school system in Philly (they did this by claiming that they were suddenly “no longer profitable”, even as they kept more than a quarter of their profits in reserve bank accounts). Since then, they’ve been forced to reform a bit, but they continue to directly ignore recent court requirements that attempt increase their fairness, because, as is known, the appeals process is extremely problematic and confusing. So are the signs (just look at that one above)! Anyway, I have a pro-tip that I recently discovered for any Philadelphians. Usually, when you get a ticket, if you think it was done unjustly, you’d have to set up a court appointment for three months in later, miss a day of work, and sit in a court until your case was called, and nearly every time, the judgment was upheld, meaning you missed work –therefore not earning money for the day–so you’re hit doubly-hard financially and you usually end up incurring more cost than it would have been just to pay the unjust ticket in the first place. But, I recently found out that you can appeal your ticket by letter. That’s right. You can take pictures, print them out, write a letter and mail it to them. They will go over it and send you a decision in about six weeks. You can even call ahead of time, tell them you’re appealing, and they’ll freeze the cost of your ticket until they’ve looked everything over. The info (including the mailing address) is included on the ticketing envelope. P.S. I know the shading looks like I may have doctored this photo (especially that bottom third). I removed my address and license plate number up top, but other than that, some of the weird coloring is from the shadow left from the way the letter was folded in the envelope. I didn’t change anything else. Promise.